Home bedtime health mobile smartphone What Happens to Your Body When You Use Mobile Phones Before Bedtime! What Happens to Your Body When You Use Mobile Phones Before Bedtime! Dan J. Siegel, a clinical professor of psychiatry at the UCLA School of Medicine, showed how your mobile phone affects your brain and body everytime you use it right before you go to bed. – People expose their eyes to photons. “Stay awake, it is still not bedtime” is what these say to your brain, explains Dr. Siegel. This is why you go to bed late, and if you do not sleep for 7-9 hours every night, your body cannot eliminate the toxins properly and your neurons cannot get enough rest. About 5 percent of all the people in the world have different genetics, so they do not need to sleep that much, but the remaining 95 percent still need about 7-9 hours of good sleep. Insufficient sleep affects your memory, stress level, decision making ability, and it can also affect the insulin level, a hormone necessary for proper metabolism, which eventually leads to obesity. 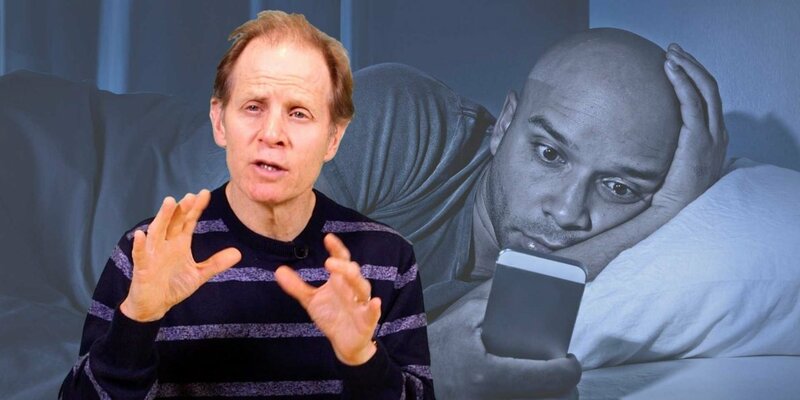 Dr. Siegel recommends staying away from all the screens in your house that may negatively affect your brain at least an hour before you go to bed.